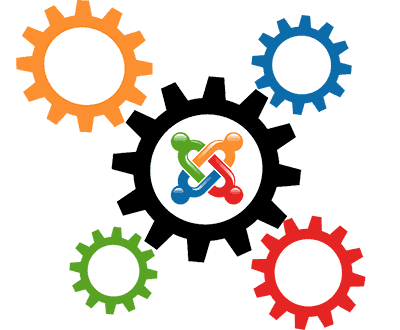 Joomla is one of the most well renowned Content Management Systems in the whole world. Joomla provides a great level of flexibility to create websites that are fully functional and high in performance. Joomla has been adopted by a large number of developers as well as businesses all around the globe. You can easily develop anything ranging from a corporate business website to a blog and from an online users community to a directory website, using this awesome Content Management System & Web Development Platform known as the Joomla. There is a long list of reasons as why you should adopt Joomla for web development as your business’s content management system. Here we are going to have a look at some of the key reasons for adopting Joomla. One of the major reasons of adopting Joomla is that it is open source, which means that you can easily make changes in the source code, allowing you to have a great level of flexibility and scalability. You can easily edit and make changes in the look, feel and functionality of various components of website. This helps the developers to utilize their innovation and creativity to create highly robust and technologically advanced websites in a personalized manner. Because of Joomla being open source, it is loved by developer all around the globe for creating many types of websites, including corporate sites, news or blogs, government applications, small business sites and sites where secure logins are required. 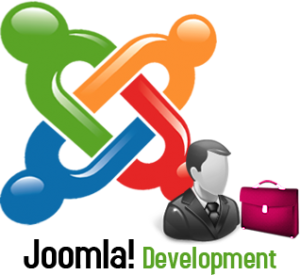 Joomla provides the developers with the features they look for in a content management system.. Although Joomla is known as the best CMS ever created, it is available for free as well. This makes Joomla a great choice for you as creating a website is free and requires just few clicks. You can download the Joomla software online and install, then you are ready to create a website with all the functionality and design features you always wanted in your website. This also gives you an advantage of trying this platform free of cost before you adopt it officially for your business website. For the beginners and less technical people even, Joomla is a very easy platform to install. It just requires general computer knowledge and in 3 simple steps you can get this up & working on your computer or laptop. The first step of installation includes configuring the details about your website like site name, site description, email address and the website super administrator user name and password. The second step of installation includes configuring the database, in which you have to fill the details like database name, user name and password for the website based on the information you have setup via your web hosting space control panel. Then the final step, in which you have to enter the sample data in your database & also review all the settings and information you entered in the installation process before finalizing everything and finishing the installation process. 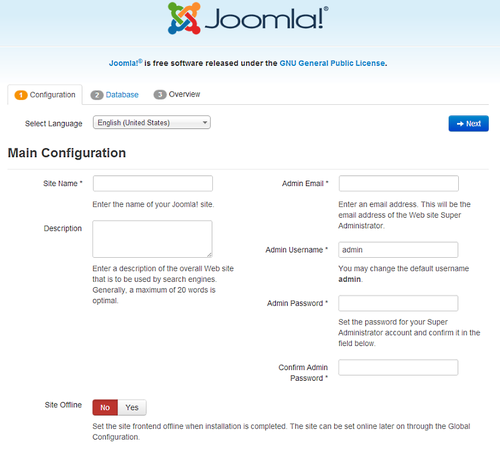 Joomla is really very easy to install, you don’t need to technically expert as it is just click and customize service. So it is really a great option if you wish to go for Joomla as your official content management system or website development tool. With thousands of professionals and developers present online, you get all the required support related to any kinds of questions, updates or problems regarding Joomla. This support is available 24*7 and you can rely on the professionals online as they have gained expertise in this platform with years of hard work and efforts. Having such type of support always is seriously the greatest advantage of Joomla. Support is one of the most essential things you need when it comes to adopting a new platform because there are so many aspects that you are not aware of. Joomla allows you to interact and seek help online anytime from thousands of professionals present on the internet. Joomla offers an extensive online documentation for better understanding of the platform and its various features and tools. The documentation has been well written and is available in many different languages for better experience to the users. In case of any need or help, you can easily refer help documentation which states each and every aspect of Joomla pretty clearly. There is also an online collaborative community manual which has all the point discussed through articles also, which has been written very well and has been translated perfectly into many languages. Joomla is one of the most simple content management systems available, which allows even the beginners to understand it pretty well. Joomla is basically based on internet, which means as long as you can access the internet through your browser, you can easily alter, update and manage the content of your website. The admin panel is quite simple and allows you to control the privileges and roles provided to all the other managers. The simple and easy to understand interface allows you to write and publish content like articles & blogs very easily. The articles or blogs can be easily posted according to categories along with images or visual content with option to welcome comments of the visitors. You can easily create new menus and new users just with few clicks and entering details. So Joomla allows you to manage the website anywhere on the go with a computer or laptop working on an internet connection. Joomla allows you to easily update or upgrade it by just clicking on the update tab. You will be redirected to the online update page where you will get some information. You just need to input some information and click on update, you’re done. The update will start and depending upon the internet speed, you’ll get the latest version of Joomla in your laptop or computer. Joomla is created using the bootstrap framework, which allows you to create highly responsive websites as the core coding of Joomla both at the frontend and at the backend, which serves the responsiveness purpose. The earlier versions of Joomla didn’t allow you to manage or change content from devices of variable screen sizes like laptops or mobile phones but the latest version allows you to easily manage your website and its content from a smart device of any screen size like smart phones even. There are many other advantages of the front end of Joomla as there is an endless list of responsive extensions and mobile friendly templates available for download online, which can be integrated to add any level of functionality to your website. Joomla has been created in such a way that the blogs or websites created using Joomla are SEO friendly. SEO stands for search engine optimization, which ensures that your website is displayed in the top results of various search engines. Joomla websites are loved by search engines and with some effective tactics; you can ensure the display of your website in the top results of search engine result pages (SERPs). You just have to make sure that accurate keywords, Meta tags and titles are sued in the website so that whenever any keyword is searched regarding a product or services also offered by your company’s website. This can help in improving the conversion rate and increase business sales. Joomla provide you with the flexibility and scalability features to add any type of functionality to your website that you want. This is actually made possible by thousands of free and paid extensions available online for download. These extensions allow you to add any type of features like reviews, comments, payment gateways, etc. These extensions can be found online on the official Joomla website as well as third party websites and can be downloaded for a later installation in your system. There are many design templates that have been already created and stored in the online template directory. If you want new templates, you can get from third party websites and even create yourselves. This flexibility is one of the biggest advantages of the Joomla platform. Security is one really awesome feature of Joomla. We all know that how important security is for any business website not only for the business but also for the users. E-Commerce website involves buying products online where you have to enter credit or debit card details and if the website is not fully secured, no one will like to buy product or services from your website. Thus, it becomes really necessary for the website to be totally secured from intruders and hackers. Joomla offers better security than other content management systems. The latest version of Joomla comes with a two-factor authentication and a crypt algorithm which ensure better password authority than ever. The latest version also has incorporated Google RECAPTCHA, which prevents spamming of registration and contact forms. 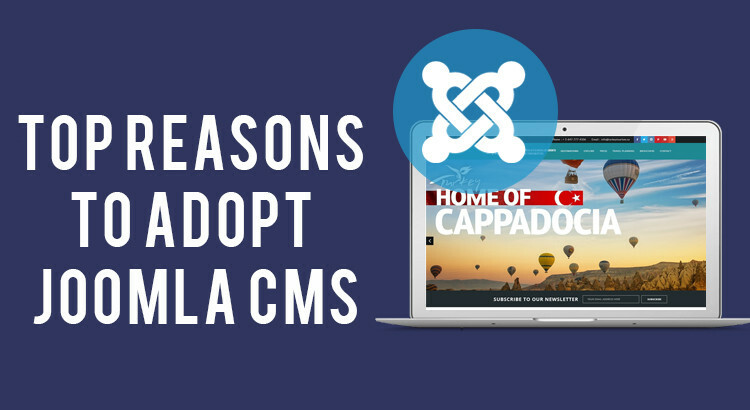 Thus, these were the top reasons for you to adopt Joomla as your business’s content management system. All these reasons ensure the best web experience for your business as well as your audience. Joomla has become the hot favorite of thousands of developers around the world in past few years.